What are tech sales? Why do companies need them? 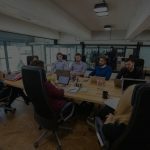 And what does it mean to be a sales representative for an IT company in Bulgaria (and not only)? In the article today, we’ll answer these all-important questions, and we’ll identify 5 of the greatest sales challenges IT companies face today. It’s time to roll up our sleeves and get to work! In its core, tech sales are easy: one company sells a product or a service to another company. This is what we call a business-to-business (or B2B) transition. And it’s not to be mistaken for a business-to-customer (or B2C) relationship, where the end client is an individual. So what makes the two operations so different? When we establish B2B relationships, we’re looking to communicate with the decision-makers in a company. Those are usually the Managers or the Heads of various departments, who need to know that the product you sell exists in the first place. Why do you need tech sales? “Make something people want”. This is the motto of one of the world’s most famous accelerators — Y Combinator. Ever since Out2Bound began work, we’ve met with hundreds of tech companies. Most of them were amazing! The founders and their teams were enthusiastic and motivated, with outstanding products that would serve various niche markets. But here came the tricky part. For some of them selling was something they simply didn’t do. That’s why a sales department, or even one person responsible for it, is so crucial! 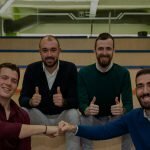 In Bulgaria, this is a relatively new job opportunity but it’s gaining a lot of traction, and fast! What do “sales tech executives” do? what makes their product/service stand out! And they usually have 2 focuses: finding potential clients and closing potential clients. But here’s the thing: these are 2 separate roles that, in theory, should be executed by 2 different people. However, that’s often not the case, which leads to certain challenges. So let’s take a look at what those challenges are! Is there a difference between selling to a person vs selling to a company? Yes, there definitely is! And not understanding this difference can cause many issues. Especially for people with limited experience. Buyers of our solution (not necessarily the same as the users). The bottom line is — yes, we’re still selling to people. But the key difference is that they won’t be our end users, their businesses will! “I hired a sales executive, and for 6 months he didn’t close any deals. That demotivated him and he quit. Now I’m back to square 1.” I’ve heard CEOs say these sentences time and time again. Why? Because the IT sector doesn’t operate like most other industries. The products require a big initial investment not only of money but also of time. And consequently, the same is true of the sales cycle. In other words — it’s long. And there’s no way around it. That’s why companies and sales executives need to be patient and understanding. Their products are costly, which is why CEOs are sometimes reluctant to buy, especially after only 1 or 2 interactions. So what’s the best strategy companies can implement? To be in it for the long run! In other words, build long-lasting relationships and add new companies to your inner circle. Network as often as possible, go to meetings with them, interact during conferences. That’s the best way to establish strong foundations, which will ultimately lead to long-term sales. Yes, the process is time-consuming but when a €50,000 deal is on the line, would you say it’s worth it? It seems that (almost) everything has already been invented, doesn’t it? Indeed, there will always be someone who’ll be selling a product or a service that’s similar to ours. And that’s where the sales executive’s skills come in! And now all you have to do is use these advantages immediately! Simple, right? Salespeople are not tech people. And that’s where the issues lie. Not because salespeople can’t understand the products or because tech people are not willing to explain, but because there is always a period of adjustment. Oftentimes, it happens that the tech/delivery team has gone through every detail with the sales executives. But once the selling process begins, it turns out that one feature of the product isn’t working or is still being developed. And then another issue pops up… and another one… and so on! So how can you overcome this? By establishing processes of constant communication and clarification of the expectations. Would you trust someone who doesn’t know what he’s talking about? This is probably the biggest challenge when it comes to interactions with potential clients. In Out2Bound, we always say to our customers that one of the biggest advantages they have is the so-called “domain knowledge”. That means they have extensive experience in the industry they operate in, and they can use it to their advantage during negotiations. So is there a way to solve this challenge? Yes, education all the way! We need to know everything that’s happening in the industry — current events, challenges, innovations, bottlenecks, what works and what doesn’t. Why? Because we need to know how our products fit into the grand scheme of things. This is a notion that seems to be spreading around the tech industry in Bulgaria, and I can’t say I agree with it. Yes, we’re based in cities that most foreigners have never heard of. And yes, our names don’t have a Western ring to them. But so what? We have incredible engineers, amazing products that are established worldwide and entrepreneurs, who sell companies on a global scale! Do we lack certain presentation skills? Perhaps. But that can be easily overcome! The most important thing is that we have strong foundations! I started selling for tech companies while I was working in India. When I came back to Bulgaria, I continued developing in this field, and I can say that I’m proud of every single product or service I’ve ever sold! Each challenge we’ve faced, as sales experts, has shown us that there’s more to be learned and there’s more to be done. Experience comes with work. And I would add that it comes with sales — of ourselves, of our ideas and of the products of the companies we represent!